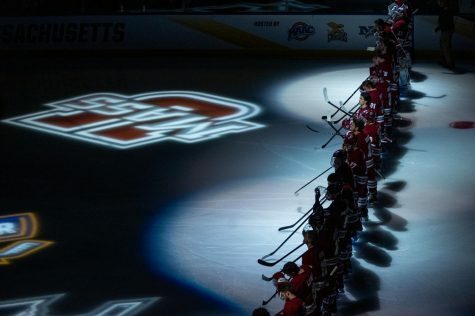 Both of the Massachusetts hockey team’s opening weekend losses followed a similar script: UMass outplayed its opponent early on, but couldn’t cash in on its opportunities. 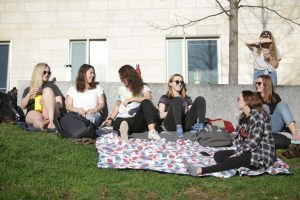 Then, its opponents took advantage on their chances, building up multi-goal leads before the Minutemen could get on the board in the third period. At that point, it was too little, too late. 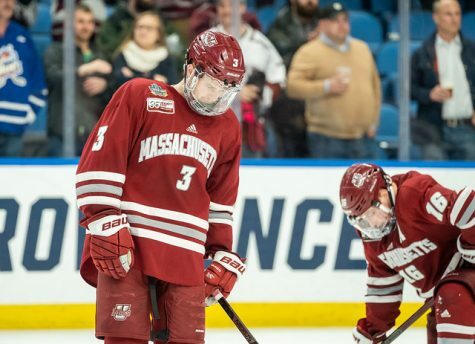 So before Michigan State (0-0) comes to the Mullins Center for a home-opening series this Friday and Saturday night, UMass (0-2) is looking for a fix. 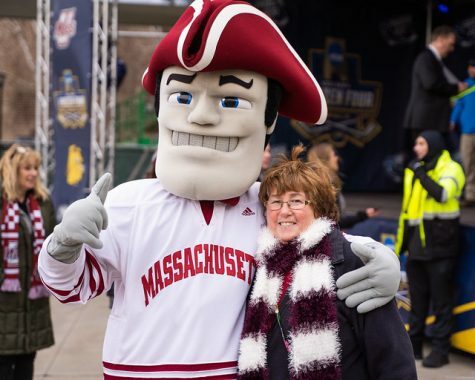 Despite the offensive struggles, one of the bright spots for the Minutemen was the play of the second line. 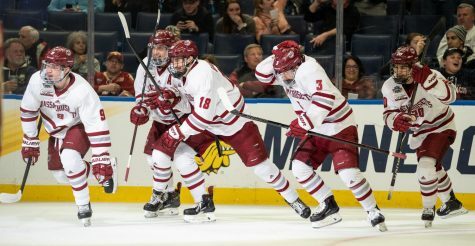 Freshmen Steven Iacobellis and Ray Pigozzi, along with Power, were on the ice for two of UMass’ three goals against Boston University and UMass Lowell over the weekend. Iacobellis provided the only offensive spark against the Terriers with his power play goal in the third period. 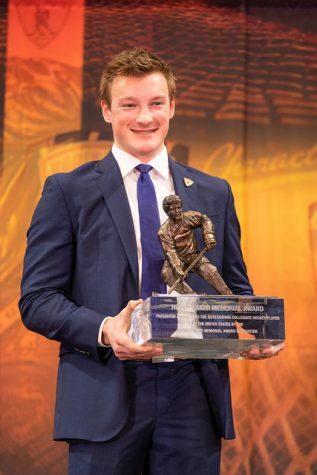 Power, who was returning after an injury ended his 2012-13 season early, then struck the following night with a power play goal of his own against the River Hawks. 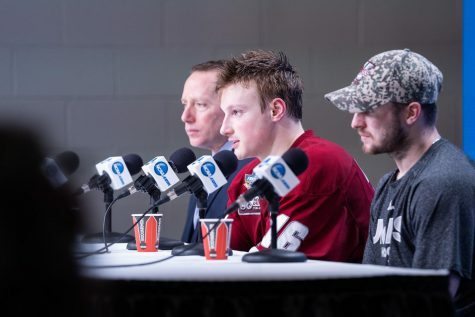 Even though the Minutemen didn’t come away with a win, it was still an encouraging sign for UMass coach John Micheletto to see other players produce besides the first line. But he’s still expecting more guys to step up. And while earlier scores could’ve helped turn around the outcomes against BU and UML, Micheletto also wants something else for his team when they outplay an opponent. 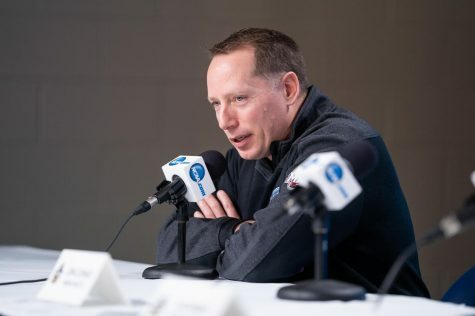 “The other thing is from a coaching standpoint, we want our guys to be rewarded when we outplay teams for 20 minutes and the score doesn’t reflect it,” he said. The next opponent for the Minutemen will be the Spartans as a part of the newly formed Big Ten/Hockey East Challenge. 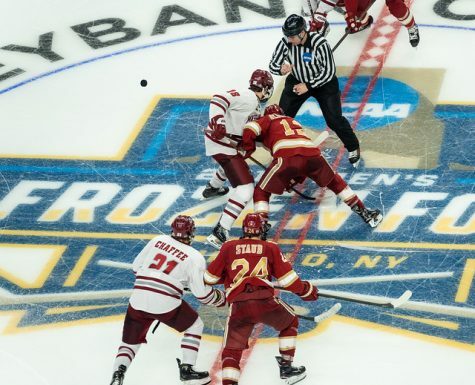 The Big Ten is offering hockey as a sport for the first time this season, and Michigan State transferred from the CCHA to be a part of the inaugural season. The Spartans were picked to finish in a tie for fourth in the preseason poll along with Ohio State. They also had two players make the Big Ten’s “players to watch” list in junior forward Matt Berry and sophomore goalie Jake Hildebrand. 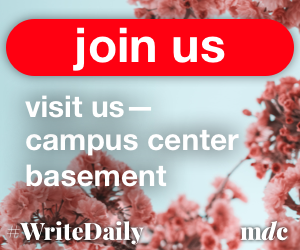 Michigan State has yet to play an official game this season, only playing a scrimmage against Western Ontario on Oct. 9 and an intra-squad game on Oct. 5. With only a scrimmage to prepare with, Micheletto says that the focus is more on what UMass can improve on. Both games are scheduled to begin at 7 p.m. at the Mullins Center. Doors will open at 5:30 p.m. on both nights for fans who arrive early.